With passion and dedication we propose a revisited Roman and Mediterranean cuisine, sometimes revisited bu never distorted: traditional for the quality of the first ingredients, modern for lightness and combinations. A few words about our philosophy and the choice of raw materials. Oil service: each guest will be served this delicacy of the Lazio region to accompany the "saxula"dinner of the Torrino dei Gelsi estate. What you must try at our restaurant: the Truffle, an element of distinction and pride that has contributed so much to our success. The cheek lards and hams are of our production; their seasoning is taken care of and followed directly by us in our tuffaceous cellars of Subiaco. We carry out the smoking of the salmon at home and we take care of the maturation of the meat (fillets, sirloin, beef cheeks exclusively from Italian farms). All our fresh pasta is prepared and pulled by hand by our chef. 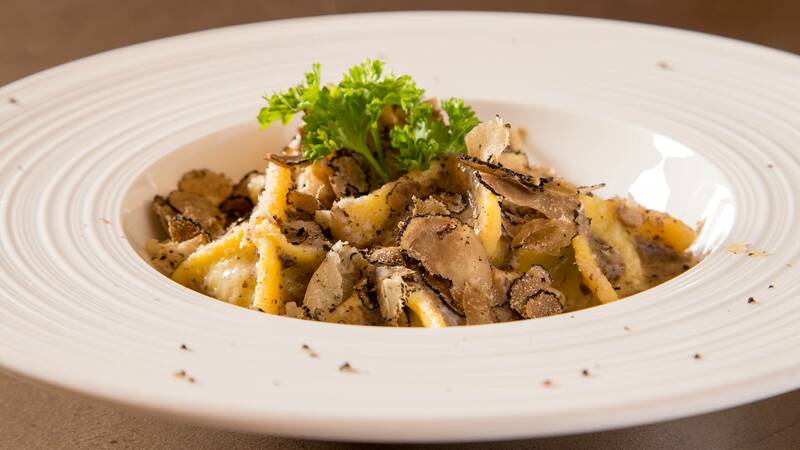 A special section of the menu and a tasting menu are dedicated to the truffle. 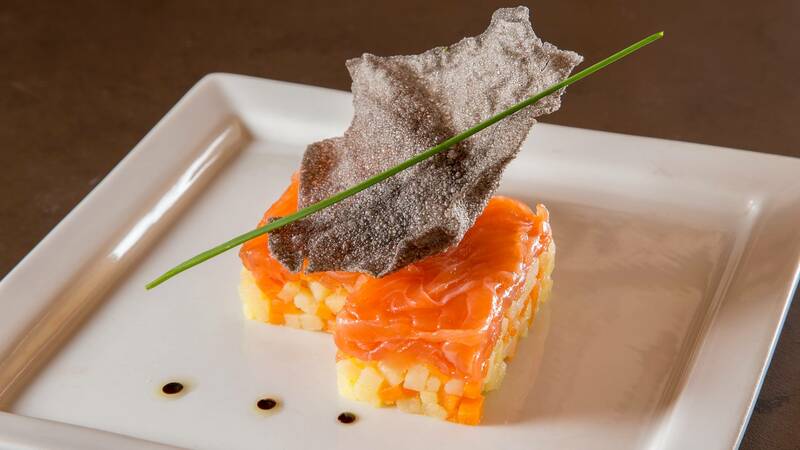 In addition to our carte menu, we offer four different types of tasting menus: Roman, land, sea, truffle. Unique wine and food journeys through sought dishes that will be accompanied by wines of absolute excellence that our sommeliers will suggest with a complete description. 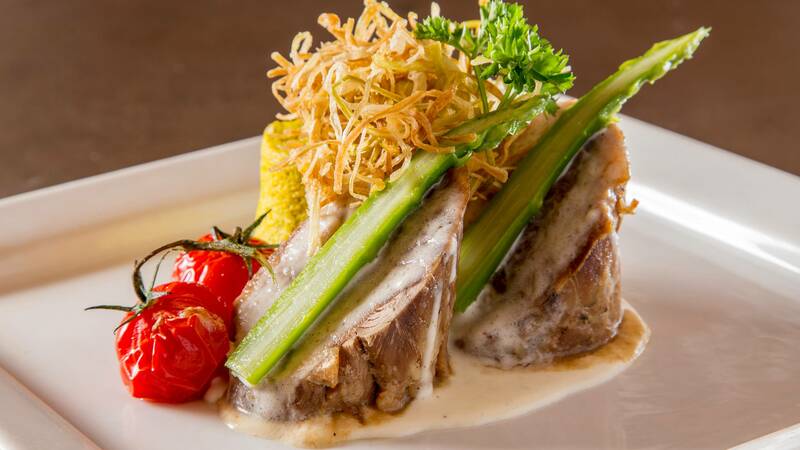 They fully represent our kitchen through the wise and creative hands of our chef.